I know you’ve missed us, and I also know you’ve been wondering “What has Crawford Willis Group been doing these past couple of months?” Well, besides crushing the last few months of 2018 and the first month of 2019-7 closings guys! We’ve been working on expanding our marketing outreach through the use of radio waves. You heard me…radio waves aka the radio. Everyone listens to the radio, am I right? Whether it’s turned all the way down to a soft murmur or blasting with the windows down-especially since it seems like we’ve got some nice weather heading our way-but everyone listens to the radio. That’s what you’ve been seeing all over our social media pages and if you’ve been listening closely all over Kicker 97.7 FM station every Sunday at noon. We’d like to give a huge shout out to our newest friends over at iHeart Radio over in Opelika. These guys and gals have been monumental in helping us get our name out to the public and we’re very honored to be working along side them, while helping the Auburn and Opelika community with any and all of their real estate needs. But what exactly does “experience the difference” mean? It’s about experiencing what Crawford Willis Group can do for YOU and your real estate needs. Our number one priority is converting clients to friends and we stand by that motto! We provide a wide variety of needs for our clients, one is particular is hosting past client events for our clients turned friends. You’re in luck actually, we have an event coming up THIS month being held at the wonderful Cigar Bar and Fine Spirits right off Ogletree Road. Please email Megan if you’d be interested in attending this event or would like more information about it and how to get on the list for future events. If you’ve spoken to anyone who attended our last one, you’ll really want to make sure you start attending them. Let’s talk shop though, so what exactly do we talk about on the radio? 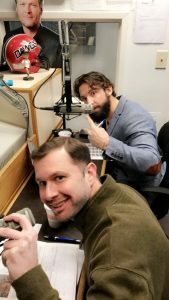 We discuss a wide variety of topics, from Evan’s basketball and golf skills, how to prepare for tax season, all the way to termite and pest control. Speaking of pest control, this up coming episode we had the pleasure of having Billy Plummer and Scott Ballard from S&S Termite and Pest control as our special guests, and y’all need to tune in and see how you can prevent those pesky pests from damaging your home. 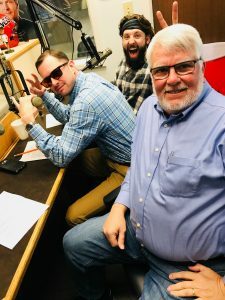 Among Billy Plummer and Scott Ballard, we’ve also had City Councilman Brett Smith, and Richard Byerly from Byerly & Associates on the radio with us. From future city planning, to AirBnB’s, all the way to pesky pests, there’s no topic left unturned. Again, tune in this Sunday at noon to hear some of your favorite local real estate agents talk about their community and the difference you experience with the Crawford Willis Group and check out our Facebook, Instagram, and Website links below.